Healing Hands Rehab, Inc. has been providing Hand, Occupational and Physical Therapy to patients in North Jersey for 25 years. Healing Hands Rehab is one of the first independently owned Hand Therapy clinics in North Jersey and has been at the forefront of the field ever since its inception. With locations in Clifton and Wayne, our offices are easily accessible by public transportation and major highways. We recognize that every patient presents a unique problem, and we pride ourselves on providing individualized treatment, tailored specifically for each patient. One on one, hands on therapy in a pleasant friendly atmosphere is the least you could expect from the highly educated, experienced OTs and PTs. Contact us today if you are interested in making an appointment. We accept most major insurances. Please visit us in our brand new 3000 square foot facility in Clifton. 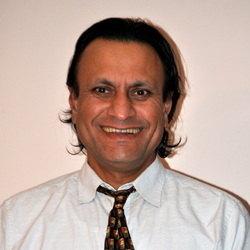 ﻿After receiving his Masters in Occupational Therapy from New York University, Prashant worked as a therapist at St. Joseph's Hospital in Paterson from 1988-1991. In 1991, essentially on impulse, he decided to open up his own private practice and Healing Hands Rehab, Inc. was born. Prashant currently works at the Clifton branch. Prashant received his PhD from UMDNJ in Biomedical Informatics. His publication on Clinical Decision Support System in Flexor Tendon Injuries, Zone 2 was published in the International Journal of Medical Engineering and Informatics (2009 Vol. 1, No..3, pg. 275 - 289). Asha also attended New York University and graduated with a Masters in Occupational Therapy. After graduating, Asha joined the staff of Montefiore Medical Center in New York, where she eventually became the Assistant Chief of Occupational Therapy. 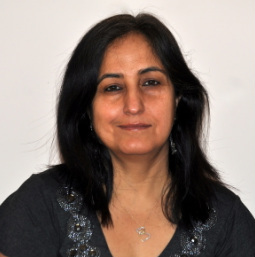 After leaving Montefiore, Asha worked at Chilton Hospital's Sports Medicine and Rehabilitation division. In 2005, she left Chilton to join Healing Hands' Wayne branch. Asha has a vast body of experience in dealing with all sorts of hand and arm injuries, from carpal tunnel syndrome to tennis elbow. She is also trained in the field of myofascial release and certified in treating lymphedema. Robert received his MPT from Quinnipiac University in 2001. He was on the Dean's List in Physical Therapy. Robert joined Healing Hands in 2005. Prior to this, Robert was a Site Supervisor for Chilton Hospital's Wayne Facility in Wayne, NJ. Stefen graduated from Rutgers University with a BS in Exercise Science and Sports Studies. Later, Stefen earned a Doctorate of Physical Therapy from Mercy College. His interest in Physical Therapy stems from his desire to work with sports related injuries. He joined Healing Hands in 2012.